The stage has been set for competitors to vie for a $2 million prize from the Department of Defense to develop a robot that could perform a number of physical tasks that might be required to respond to a disaster or an emergency as part of the Defense Advanced Research Projects Agency’s Robotics Challenge, which DARPA unveiled last October. 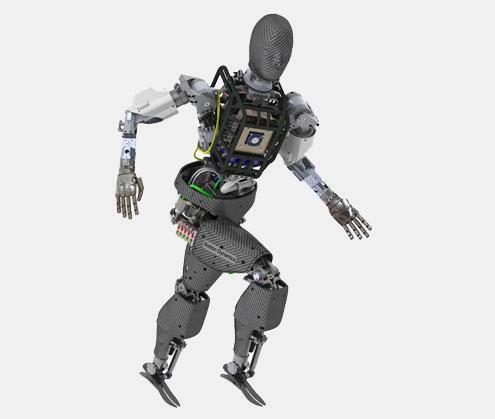 Research teams from Carnegie Mellon University (CMU), Drexel University, Boston Dynamics, NASA, SCHAFT Inc., Virginia Tech, and Raytheon are developing robots that might be used one day for perilous tasks, such as searching for earthquake survivors or driving a vehicle through rubble. There is a growing trend in robotics toward using machines to perform tasks that would put humans in harm’s way, as the military does for diffusing bombs. This thinking is extending into disaster and recovery efforts. Last year, robots developed by the Chiba Institute of Technology’s Future Robotics Technology Center and Toshiba were deployed to explore areas of the Fukushima nuclear power plant in Japan. “The technology has advanced to the point where these types of robots are now possible,” Tony Stentz, director of CMU’s National Robotics Engineering Center and leader of the Tartan Rescue Team building its CHIMP entry, told us. “It is important to develop these robots for use in places where safety is a concern.” The DARPA Robotics Challenge is providing funding for many of its participants to foster robotic innovation that can be used in disaster scenarios. Most of the physical designs in the competition are more or less humanoid except for two — NASA’s Robosimian, which is modeled after a simian but rather resembles a four-limbed vacuum cleaner; and SCHAFT (by the company of the same name), which stands on two legs like a human but has disproportionately long mechanical arms. Physical design aside, teams must keep in mind that the robots will have to perform in environments designed for humans, so their perceptions and movements should be as human as possible. Stentz said the CMU team aimed to equip its robot with a key human trait: balance. We wanted to design a robot that would be able to operate in environments engineered for humans, but without requiring the complex control needed to balance and walk. CHIMP will be able to drive over challenging terrain using all four tracks, and maneuver using two tracks to operate tools. It will use hooks to climb a ladder and will stabilize itself by grabbing with all four limbs. CHIMP will be able to do all of these tasks without running a serious risk of tipping over or tripping and falling. The Drexel team aims for its horse in the race, Hubo, to act like any 19-year-old first responder or Marine in its ability to drive cars, climb ladders, break walls with tools, and walk over rough terrain, Paul Oh, professor at Drexel’s Mechanical Engineering Department and director of the Drexel Autonomous Systems Lab, told us. “Cognitively this means equipping Hubo with algorithms to do these tasks without much human intervention,” he said. Attach a connector such as a wire harness or fire hose. The highest performing teams will receive continued funding from DARPA to go on to the final challenge event in December 2014.